Join us starting April 17th for another Summer of Fun! 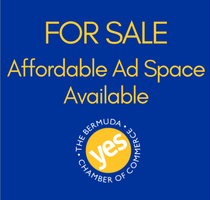 The Real Estate Division of the Bermuda Chamber of Commerce comprises 31 individual firms (large and small) who work together for the betterment of the Real Estate Industry in Bermuda. We have a set of clearly defined requirements for members which holds each member to account in providing an exemplary professional level of service and maintaining high ethical standards. This is the industry standard in Bermuda and is known as "The Handbook". The Bermuda Chamber of Commerce has formed a new Energy Division.The membership is comprised of fuel distributors, solar and traditional energy suppliers. The aim of the division is to bring about more consultative dialogue between the groups. The East End Division is the singular voice of private enterprise representing general interests of the business community from Flatts through St. George’s. Development; focuses on investor relations, distributing maps of opportunity for creative occupancy. Infrastructure; compiles the state of physical and intellectual platforms, distributing progress reports. Advocacy; develops mandate, surveying positions, engaging Government, non-profit and private stakeholders. Marketing; supports events, markets and destination access, distributing external calendars and internal notices.